Happy Cinco de Mayo! My office had a party on Friday with music, drinks, snacks, and pinatas! 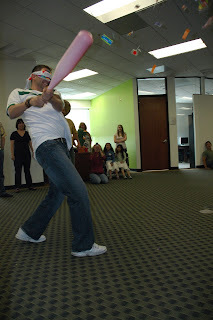 Here is one of my co-workers right after he hit the pinata. This photograph is an example of the decisive moment. 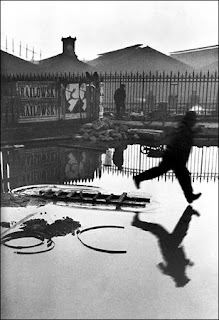 According to Henri Cartier-Bresson, "There is a creative fraction of a second when you are taking a picture. Your eye must see a composition or an expression that life itself offers you, and you must know with intuition when to click the camera. That is the moment the photographer is creative," he said. "Oops! The Moment! Once you miss it, it is gone forever." Henri Cartier-Bresson's is best known for this decisive moment photograph. If he had taken the photo a moment earlier or a moment later the photo would have been very different. There is your photo history for the day! I worked in the morning at the Christmas store and then I joined Kristi for a little afternoon scrapping. 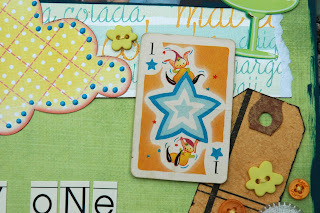 Hope every one enjoyed (Inter)national Scrapbooking Day! I didn't spend as much time on projects as I had hoped, but I did have fun. Here is a sneak for the next Scrap Mojo challenge. I get so inspired by reading Ali Edwards blog. I really want to make this! Misty, can you make that die cut circle paper with your silhouette? Spent some quality girl time with Jenna, Tiffany, and Kelly on Saturday night. 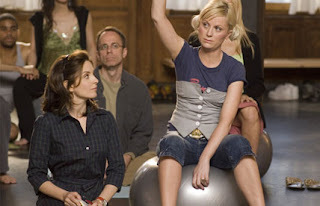 We went to see Made of Honor and it was incredibly sweet. I'm a sucker for those chick flicks! We hung out at In-N-Out for a little while with milk shakes after. 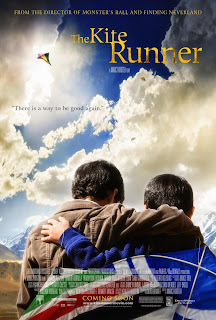 Saw an INCREDIBLE movie called The Kite Runner. A member of the Pacifica Rotary had a small part playing a doctor (the Russian, Dr. Starobin). The compositions are beautiful and the characters are thoroughly developed. I was so convinced by the acting that I got lost in the story. The Director Marc Forster has done it again. I highly suggest seeing this movie, but I must warn that it is on the disturbing side. Check it out! thanks for the mini photo lesson. my point and shoot is really slow now...so i cant really take "the decisive moment pic"..like i click to take a picture...but it seems to take a couple of looooong seconds to process, so i end up just with the "after" moment. perhaps i should fix the settings in my cam? i dunno? both baby mama and maid of honor are on my must see list...glad u liked them! I'm guessin I can make those on my silhouette, I will work on it and see. I actually haven't hooked the silhouette up since the move, but for you I will see what I can do! I'm so jealous misty has a silhouette and doesn't even use it LOL. Anywho Kite Runner was a really good movie and def disturbing and sad. the others i will prob have to wait for netflix becasue i rarely get to go to the movies ever. As far as where i've been ... Canada (duh), Italy and Dominican Republic ... I would count Puerto Rico but that's a commonwealth of the US.